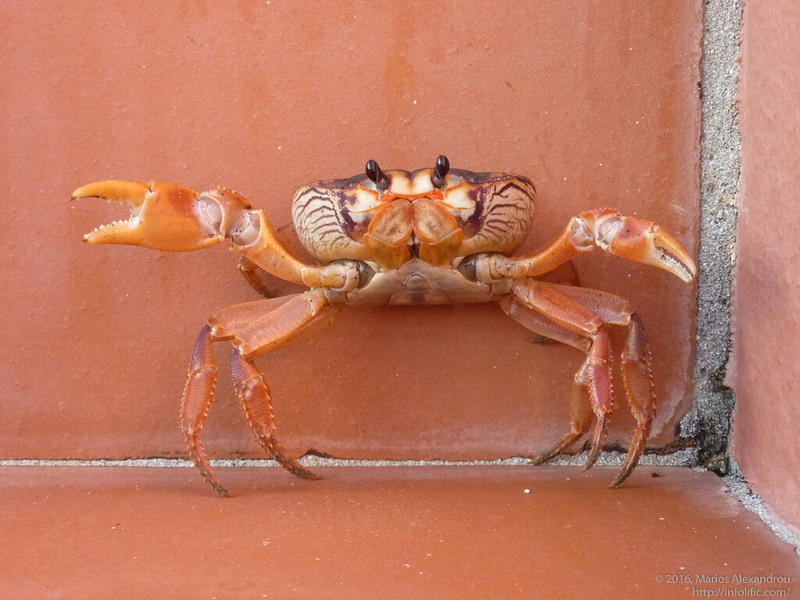 For my first trip to Bonaire, I looked into a number of accommodations. There were quite a few options and they all had divers in mind to some degree. However, the usual suspects such as Captain Don's, Divi Flamingo, and Buddy Dive all seemed to be suffering from their own success and the reviews frequently indicated that rooms needed renovating or service wasn't what it used to be. On the higher-end we were considering the Harbor Village Resort, but their boat dive offering was pretty weak so I eliminated them from consideration. With all of the typical destinations out of the mix, I needed to expand my search to include smaller establishments such as bed and breakfasts. I'm really, really glad I did! At the top of the list of B&Bs was Villa Safir. With shore diving being the primary activity on Bonaire (for me anyway), I wanted to stay at a place that catered to divers. At first I thought this meant having a dive shop within the establishment or really close by. Villa Safir took a different approach — they brought the dive shop to me. This included unlimited air tanks kept just a few feet from my truck rental along with a BCD with integrated weights, regulator, and dive computer all waiting for me upon my arrival. Around the corner from the garage were rinse tanks and lockers to house equipment when not in use. Peter, one of my hosts and Certified Dive Instructor, also knew how to clean certain BCD components after I got some sand in them by accident. The packages available at Villa Safir were great too. I'd recommend the unlimited dives plus 2 boat dives (led by Peter) plus night dive (typically led by Bianca, Peter's wife) package. If you're like me you'll want to do as much diving as possible and this package allows you to do just that. The boat dives take a bit longer than shore dives, but getting out to sites you wouldn't otherwise be able to reach is worth the extra time. They also don't seem to be as draining as shore dives so there's nothing stopping you from doing some additional dives afterwards. And with just 3 rooms with a max of 6 guests, the boat dives are guaranteed to not be crowded. If you don't want to commit to any of the packages, no worries. You can go a la carte although it'll cost you a bit more if you end up adding any of the options. Villa Safir also included wireless internet connectivity as part of their pricing. The connection was solid and speedy — not that you necessarily want to be using your laptop all of the time! Every morning started with Bianca preparing breakfast of my choice (between 7:30 and 10:00). I became a fan of the French Toast after day one, but others at Villa Safir were fans of the omelettes. Fresh fruit was cut and waiting in the fridge for me. And what day would be complete without a cup or two of coffee? During breakfast, both Bianca and Peter were more than happy to help me plan my day. If that included non-dive activities, no problem. They seemed to know everything going on on the island. And if I had dive questions, both would share their opinions of what is good based on the criteria I provided such as easy entry, better for seahorses, etc. Peter even drew a couple of maps that included the roads around the dive site, shore entry tips, what marker would be good to use, and suggestions for how deep to dive. After breakfast, dive preparations started with grabbing a cooler courtesy of Bianca; an icepack from the freezer we could all use; a couple of big water bottles filled and chilled daily by Bianca; and snacks I purchased from Cultimara, one of the better grocery stores on the island. Once I had the day's supplies packed, I headed to the dive lockers where I grabbed my equipment. I tossed everything into the back of my truck rental (also included in the package). After loading a few air tanks onto the custom wooden rack in the back of the truck, I was all set to go. Upon my return from a day of diving, I was welcomed by a spotless room (the entire place is super clean and tidy), made bed, and air conditioner for when it was too hot. Once I was cleaned up, I would grab the reef fish/critter/coral identification books from the bookshelf and started to fill in my dive log. With 1000+ pages in these books it was helpful to have either Peter or Bianca narrow the search or else I'd still be looking. Overall, I can't think of a better place to stay in Bonaire. 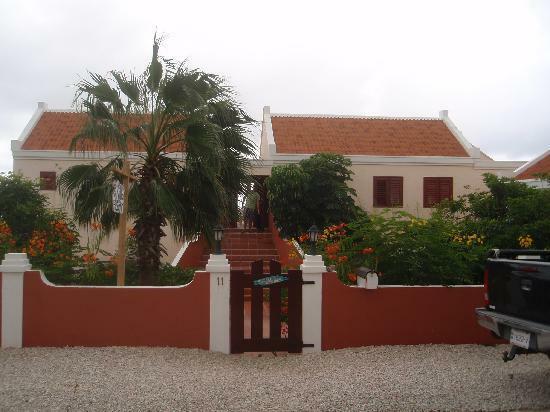 And I will definitely return to Villa Safir when I go back to Bonaire. I stayed at Villa Safir again 5 years after my first stay and I'm happy to report that it's just as good as I had remembered. Bianca and Peter have done a great job maintaining their property. The owners, Bianca and Peter, are welcoming and helpful. They freely provided recommendations for dive sites, flamingo sightings, the national park, shopping, other activities on the island, and restaurants. Every morning began with breakfasts and coffee prepared by Bianca making for an easy start to the day. Fresh fruit and yogurt were also available each morning; the fruit I often ate in the afternoon as a snack. A fridge was available in the communal area for guest use (which I took advantage of after shopping at a local market). They also provided access to Bonaire-specific guides covering the 80+ dive sites, fish identification, birding, and island information. I opted to stay in the same room as last time, on the edge of their property. It was, once again, clean, comfortable, and quiet. With a strong wifi signal, American/Canadian-friendly electrical outlets, and in-room safe, it was exactly what I needed. The dive packages changed since my first visit. This time around I opted for the unlimited tank rentals, rental car, and 2 two-tank boat dives. Now that Bianca and Peter own a PADI-certified dive shop we booked guide, group dives through their shop. Regardless, none of the guided dives (2 day, 2 night, and 4 boat dives) were crowded which is just how I like things. All in all, I had a truly enjoyable stay and highly recommend them.